Fine & Country has over 300 offices worldwide specialising in homes of distinction which include character and period properties, country homes, cottages, large town houses, luxury apartments, houses with land, and barn conversions. We offer a refreshing approach to marketing combining individual flair and attention with the local expertise of independent estate agency creating a strong national network with a powerful marketing ability. 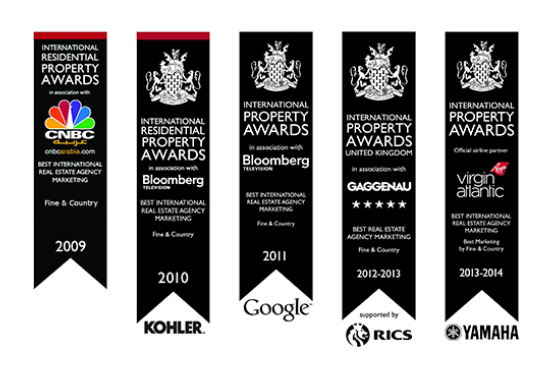 We understand that people are passionate about their property. We also understand prospective purchasers require more than room measurements. They want to understand what it is like to live in the home and the surrounding environment. At Fine and Country we endeavour to convey some of that passion to prospective purchasers. If owners love their homes, the people carrying out a viewing should be made aware of that fact, and understand the reasons why. So we take the time to uncover exactly what the people in a house enjoy about living there. After all, the very factors which attracted the current owners to the property in the first place are probably going to attract those who will want to buy it now. The Fine & Country team offer a level of service well beyond traditional estate agency. We take a unique approach to marketing and believe in focusing on the character of the house, the lifestyle that can be enjoyed there and a local, regional and national approach to marketing. Luxury sales particulars including professional photography with pages dedicated to the local area and comprehensive floor plans. The brochures are also presented as a video and electronic page turner; both of which can be up-loaded to property portals and emailed to prospective buyers. Press advertising in local property publications, The Yorkshire Post, Yorkshire Life, The Sunday Times, Daily Telegraph, The Times, Financial Times, Horse & Hound and Fine & Country publications distributed nationwide including Finer and Refined Magazines. Lifestyle Interviews allow us to understand the property and present a concise and accurate marketing campaign to potential buyers. We are able to create a unique insight not only into the home being marketed but the attractions and selling points of the area. Networked branches: Your property displayed in local offices in addition to our prestigious Park Lane, London showroom. Property Portals: Fine and Country, Rightmove, Onthemarket, Country Life, Horse and Hound, The Sunday times Tablet, The Times tablet, telegraph, Facebook, Twitter, You Tube and iphone application. Referral centre: Fine and Country occupy over 300 locations worldwide. Almost every seller becomes a buyer elsewhere. We capitalise on the strength of our network and work together maximising the exposure of our client’s properties to buyers. We ensure through our substantial buyer’s database that our 127,000 applicants are furnished with accurate property matches as they enter the market. We are able to do this locally, nationally and internationally. Media Centre: Our Media Centre is made up of a team of experienced press relations managers and copywriters, dedicated to liaising with newspapers, magazines, and other media outlets to gain extensive coverage for our properties in regional and national media. In short we offer local in-depth knowledge and experience coupled with a bespoke marketing strategy that no other agent can match.